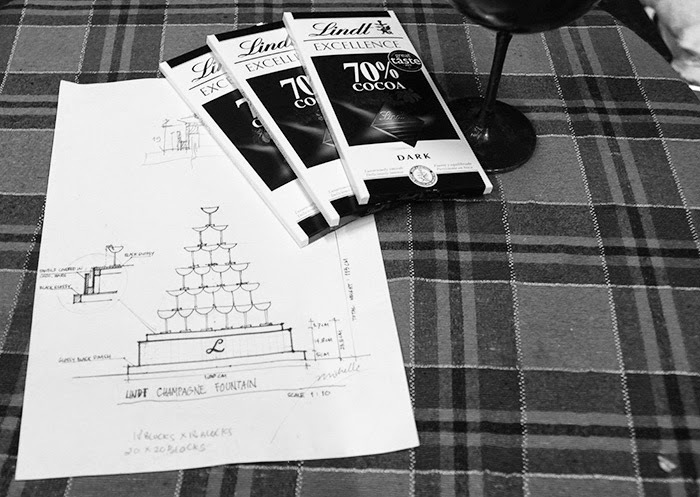 Leading Swiss Chocolatier, Lindt & Sprüngli commissioned Michelle to create champagne fountain made entirely from Lindt chocolate. 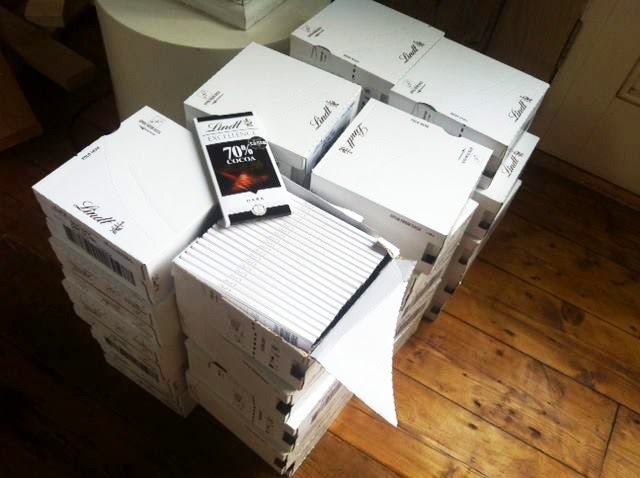 More than 300 bars of Lindt chocolate were used to create the artwork. 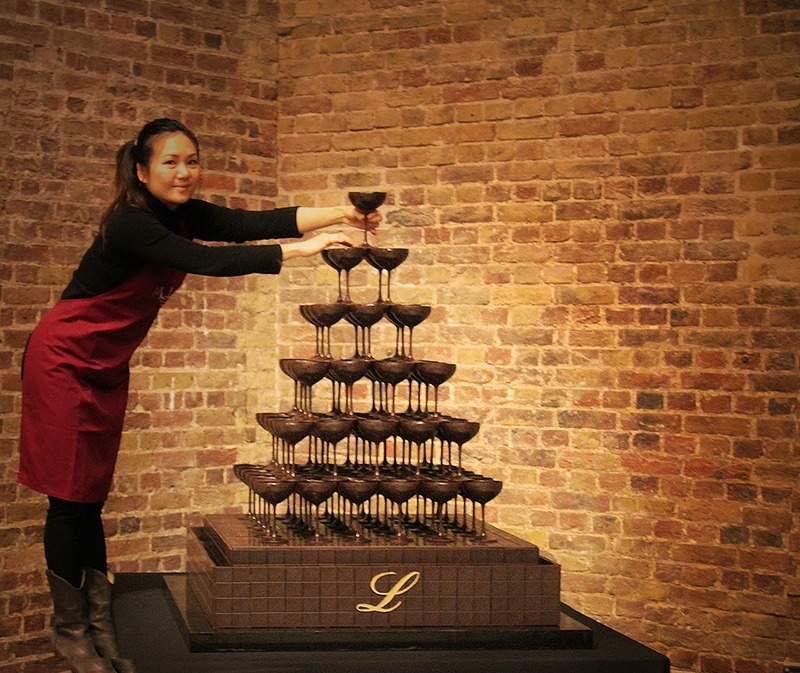 At the Vinopolis, one of the famous London’s attraction dedicated to the world of wine, these 91 delicate chocolate glasses were assembled to create 6 tiers champagne fountain rising up to 4 ft tall.